What are the major trends in the snow safety market next Fall/Winter? What do customers expect from their snow safety equipment? How are you segmenting your snow safety products and what are the main price points in each segment? 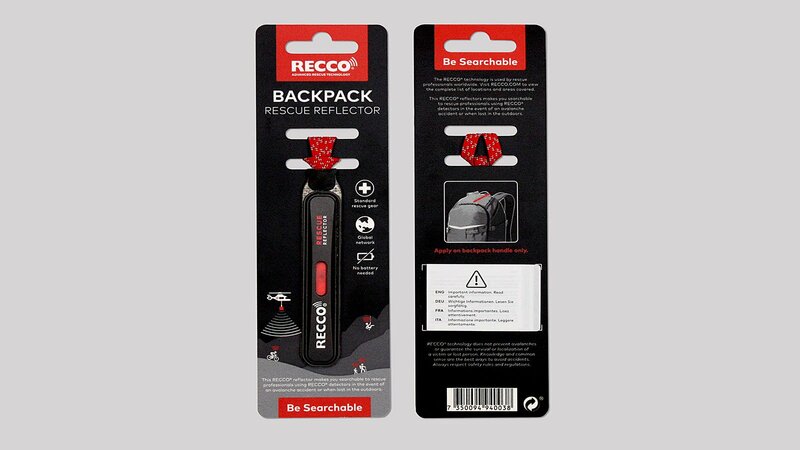 Since RECCO is a Rescue Equipment System, we equip and train organized rescuers worldwide with our search units (RECCO Detector), for the consumer we offer rescue reflectors (RECCO Reflector) that are integrated in snow gear like Jacket, pants, boots and helmets, so one becomes searchable and can be located by the rescuers using the RECCO Detectors. In that sense, we don’t work with price points, since everybody should be found by rescuers when needed, which means you will find the same kind of reflector in a top of the line product as in an entry price point product. What are the most important technologies/features in your avalanche backpacks? Some avalanche backpacks come with integrated RECCO reflectors for additional safety to be always searchable to organized rescue. E.g. Ferrino and Millet Backpacks. Which features set you apart from other brands? Do you offer anything new and outstanding next season? 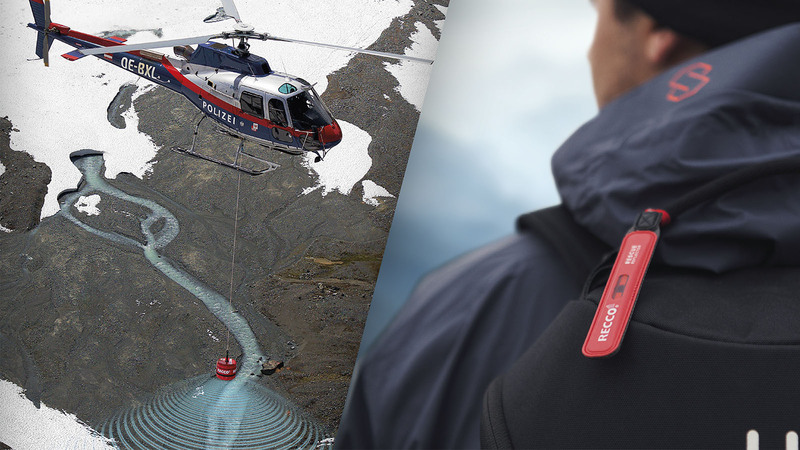 Exciting news is the RECCO SAR Helicopter Detector, which evolves the RECCO rescue system from avalanche rescue to year-round search and rescue for missing people in the outdoors. Which means this new Detector will be used by helicopter to search wide areas fast, 1km2 can be search within 6 Minutes. We had presented the vision of this new search unit the first time in 2015. Since then the roll-out is ongoing and further technical developments have happened. Now we have 10 units out and operative in Sweden, Switzerland, Italy and Austria. Austria is the first country covered to 100%, meaning the police is equipped with 4 units and now at any case a person is missing in the outdoors, they will research whether the person has a RECCO rescue reflector and if yes apply the RECCO SAR detector for the rescue mission. Avalanche Equipment (transceiver, probe, shovel). What are the most important technologies/features in your avalanche equipment (shovel, probe, transceiver)? Do you offer anything new and outstanding next season? All avalanche transceivers from Ortovox are equipped with RECCO reflectors. Ortovox started in 2013 integrating rescue reflectors into transceivers following the philosophy that all means should be used in case things go wrong, giving organized rescue an additional option to locate a buried person electronically. So if for any reason the transceiver signal cannot be picked up, organized rescue has a second chance and can apply the RECCO search before probelining the whole avalanche debris. How are you helping retailers sell the avalanche equipment and educate customers (POS displays, etc.)? We offer a sign (20×20 cm) showing an illustration of our system, it is the same we use in ski-resorts to inform that the resort is equipped with RECCO Detectors, it is just smaller. We also offer onsnow education and clinics together with our partner brands to retail, where we bring mountain rescue experts to explain the system and how they use RECCO detectors. We also created a “micropage” called “RECCO in 7 points” where we summarize how to explain RECCO while talking with customers. Do you offer any other products in the category snow safety (like detector/ reflector ) besides the traditional avalanche safety products? RECCO Reflectors usually come integrated in all kind of snow gear. Due to the development that comes with the RECCO SAR Helicopter Detector, our goal is to equip faster more people and give more people the option to become searchable. 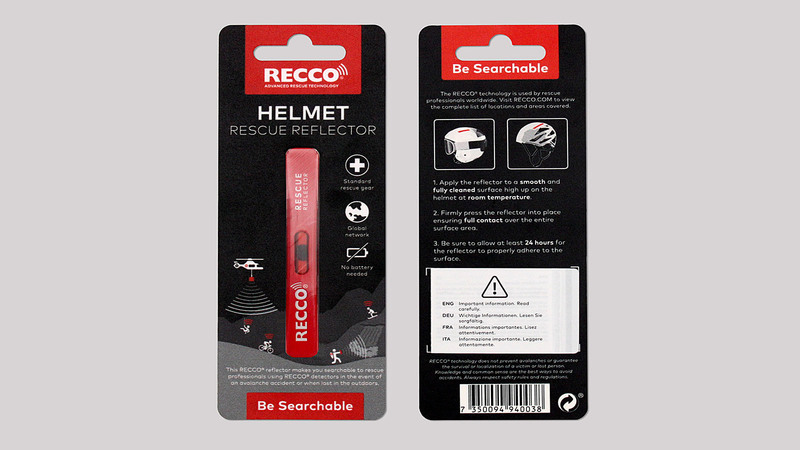 Therefore, we decided to also introduce RECCO reflectors for consumers, that can be attached to any helmet or backpack. 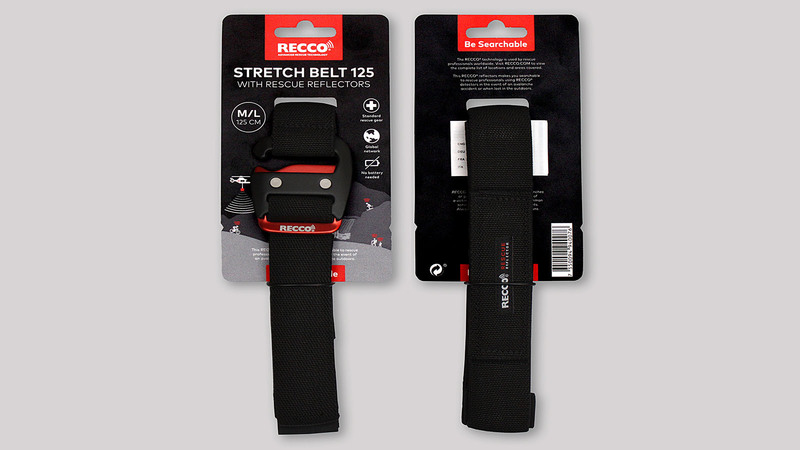 We will also offer an outdoor belt with integrated reflectors. We will continue to focus on our B2B business, because we are convinced that it is the best way to be “naturally” searchable through the gear you use, however by adding the offer of attachable reflectors we want to enable more outdoor enthusiast to become searchable and it gives us the opportunity to show the monetary value of a RECCO rescue reflector. Please name and describe 1 highlight item from your FW 19/20 collection.